24th January was celebrated as National Compliment Day at Write Tribe's! A day of spreading smiles and doing good! You know when you genuinely compliment someone and you hear them saying back a shy 'thank you' it warms your soul! So try it today, don't hold back. It is never to late to spread joy, right? Is it strange when a stranger admires you? A few days back, while travelling to work by metro, an aged lady sitting beside me mentioned how lovely I looked in the bottle green sweater I was wearing. I smiled humbly and mentioned it was my Mom's and a beautiful conversation struck up between us, just like that! I felt so good :) Have you ever praised someone you didn't know? Or didn't know too well? In metro, in the ladies compartment, you see all kinds of girls, women of all ages, all dressed up to their best going off with their daily works. Many a times, a look, a smile, the way someone has done their hair, a color they are wearing that brings out the best in them, does come to my attention but I haven't really gone up to the person and complimented them. I say it my head and intend to go to that person and mention 'You look so lovely today' but haven't really. Have you? Or do you hold back? 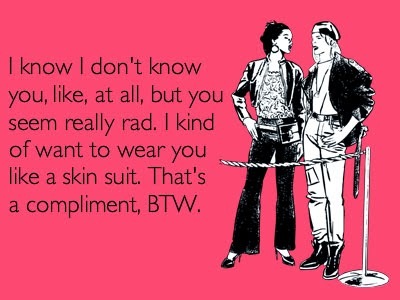 Compliment a stranger today! Try it! I'm gonna, for sure, no holding back this time! and see the world becoming a better place! Wow, your post reminded me of my own Naanu, who was one wonderful soul. Very classy, very educated, very open minded, very strong and extremely inspiring. Lovely to have people in your life who can form the foundations of your soul. Great one! Thanks Kajal! Salute to such grandfathers...kindest souls!! Ah trust you to compliment strangers on their gray hair :D lv u for this Tex! Awww Kathy *hugs* Thank you for your lovely comment! Lucky for you to have such grandparents. What a lovely feeling to be complimented by a stranger. I really haven't tried it ever.. Perhaps I'm a tad embarrassed... But it's a super idea Aditi.. Must try it. Grandparents are special. 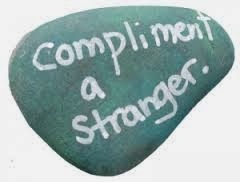 And complimenting a stranger - what a great idea. I'm going to try it too. Super post. 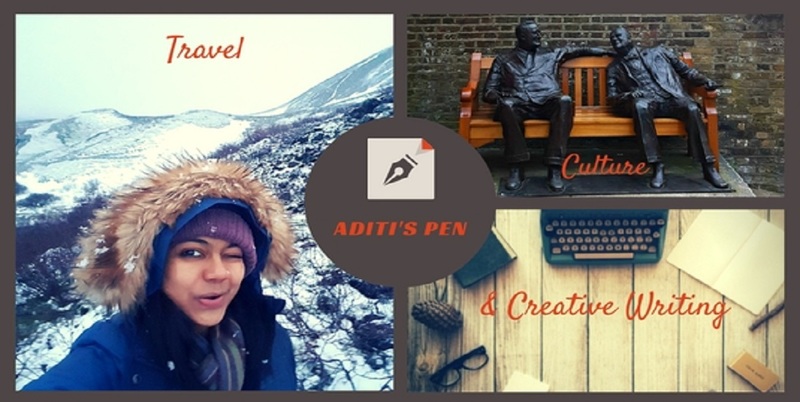 I have complimented strangers and have had mixed reactions, Aditi! But lovely to hear of your experience. I loved reading about your grandparents - and your grandfather brought back memories of mine. Sweetest memories are with our grandparents no...such a treasured time! Thanks :) I am really...I feel blessed! Most welcome Nabanita :) glad you enjoyed! Yay so now I have proof that stranger love it...go complimenting now! A most befitting tribute Adi for nana ji & nani! I will be watching out this space most eagerly for your next. Lveu Great going.......... keep it up! Such a cute post Aditi. Grandparents are special, aren't they. Aww sso sweet...God bless them! Thanks a lot Pixie...this means a lot to me! Nowadays, the world has been so corrupt that sometimes, when a stranger compliments you, it kinds feels creepy. I missed those times when I was my youth and I sometimes give a stranger a smile or a compliment-it felt really good and I know that the person I have given compliment felt the same. This is a good reminder. I might as well try doing it again :) Thanks for the beautiful reminder.